The moving trucks head to Alabama this Friday (30th)!!! We are surrounded by boxes, and the kids are even sleeping on the floor (on a mattress)! This is my dining room. We loaded Jason's books yesterday, there are around 1500 books!! The picture below is just part of his books. I just loved this picture!! Of course I had to put in a picture of my big helpers! The kids are excited and tell everyone that they are moving to Alabama. They also have about 5 friends picked out that they want to move with us!! So, when we get to Alabama with 8 kids... you will know why!! The popular Christian singer, Steven Curtis Chapman and his family need our prayers during this difficult time. 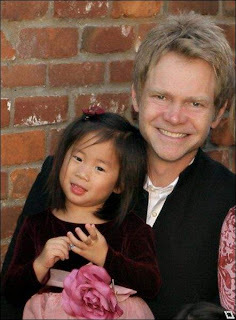 He and his wife lost their youngest daughter (adopted from China) in a terrible accident at their home. 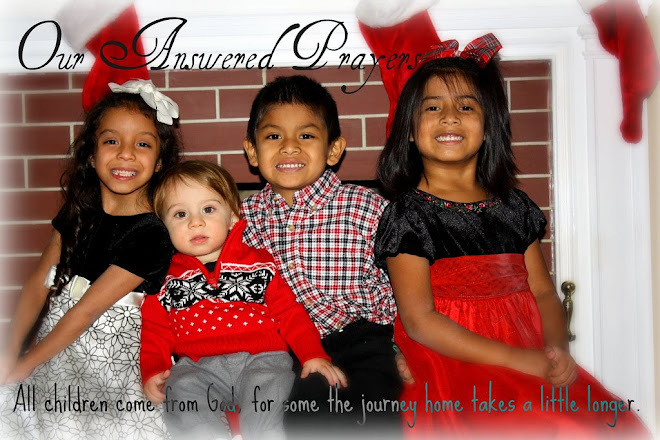 They are an inspiration to many adoptive families and I know several families that their ministry have helped in bringing their children home. Below are the links. Apparently, Mary Elizabeth (always into something) went down stairs and got the LARGE box of Goldfish out of the pantry. The three of them filled the Dora car full of Goldfish!!! When I asked them what they were doing, Harrison (who always knows the right answers to give) replied "We are playing Teamwork." Then Mary Elizabeth says, "But we are just pretending!" I could not help but laugh! Harper looked beautiful and preformed wonderful at her Ballet Recital on Saturday! She took classes for 12 weeks and we were so proud of her!! She had her Mommy, Daddy, sister, brother, Nana, Pa, Nee, Aunt Angie, Aunt Alli, Cousin Ethan, and Cousin RayLee there to watch. Here are a few pictures for you to enjoy!! Waiting for Sister to come out. Can you pick Harper out of the line-up? 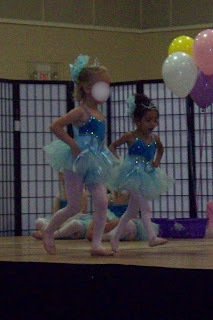 She was the smallest and most tanned!! She received a certificate and flower. You would never know that this perfect little ballerina has only been in the USA for 8 months! What a blessing it was to watch her on stage knowing that she had a rough start to life, but look what a princess she is now!! We celebrated Harrison's 3rd Birthday on Saturday! Harrison had a small party with just family. He says he wants to be a pilot like his Daddy. Jason took Harrison, Cousin Ethan, and Aunt Angie up for a short flight. This was Ethan's first time in a plane! They made several circles over the house so we could take pictures. Nee playing in sandbox with Mary Elizabeth. Mary Elizabeth enjoying home-made ice cream. New Harley hat from Nana and Pa.
Driving remote control race car with Pa.
Today, May 19th, is actually Harrison's Birthday. This morning he opened the curtains and looked out the window, it was very foggy. Harrison said, "it's a nice day out there!". This show his personality!! He is a very sweet, kind-hearted child that finds good in everything. Anytime he gets something (toys, candy, etc.) he always says with a big smile on his face, "I can share with my Sissers (sisters)!" It is such a blessing to have him as a son. Harrison is turning 3 years old on Monday, so we thought it was time for him to get a big boy haircut. (He has been getting his haircut since he was 5 months old, but I have always kept it long) I gave very specific instructions to Jason (NO SHAVING)! Jason was getting his hair cut too, so he was not paying attention to what they were doing to Harrison. However, I think he looks very handsome (like a big boy!). They grow up sooo fast! He will always be my baby boy, no matter what kind of haircut he has! Wanted to give everyone a view of what it is like to pack up a house with 3 little helpers! The kids kept asking me why I was boxing their toys, so I told them we had to box everything that we wanted to take to our new house in Alabama. A few minutes later I found Harrison trying to tape Harper up in a box, when I asked him what he was doing he replied, "We have to take Harper to Alabama!" I am glad he loves is sister!! The girls were helping me stack boxes. This stack is mostly the kid's clothes and toys!! I can't believe how much stuff they have! This video is of the kids doing a trick, with the boxes, that their Daddy taught them. At first they were just jumping off the boxes to the floor, but Jason thought it would be more fun to move the bed closer!! Can you tell which one of our children is not very coordinated? Sorry Mary Elizabeth! But don't worry, Mommy is not either!! The Glas Family is Moving, AGAIN!!! Yes, we are getting the boxes back out and packing up AGAIN! This is the 6th time Jason and I have moved in our 8 years of marriage. So, we are getting pretty good at packing and unpacking! We are very excited to see what God has in store for us in a new community. Jason was offered a wonderful job in Birmingham, AL. He will be doing the same type work, but for a larger development company. And most important, we will still be in the SOUTH! We have been praying for several months for God to give us some clarity on where we should be living. We have watched Him close doors here in Georgia and elsewhere and open doors in Alabama through relationships and the new job. The kids are very excited, see the video below. But don't worry, we will still be Georgia Bulldog fans!! Nothing will ever change that! My Mother's Day was filled with lots of love from my three little Angels! The kids woke me up this morning with cards (I had to read 100 times) and beautiful flowers. I can remember, not so long ago, that Mother's Day was a very difficult day for me. But today I am very thankful for the children God has blessed me with and also a wonderful husband who is my BEST friend. I didn't give you the gift of life. No, I did not give you the gift of life. Life gave me the gift of you! I hope all you Mothers out there have a great weekend!! Some of my favorite memories as a Mother. With Mother's Day coming up, I was reflecting on some of my favorite memories as a Mother. Getting on a plane, 3 different times and 2 countries, to bring our children home. 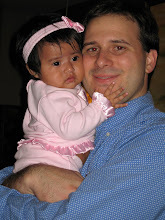 First time I held our children in my arms. First time we had to change Harrison and Mary Elizabeth's diapers, we had no idea what we were doing. Trying to feed 2 babies at one time!! Harrison had a Mohawk when he came home. People thought Mary Elizabeth was a baby doll at the airport. Our families meeting the kids for the first time. Trying to figure out how to get 2 babies into Target without a stroller! Watching the children eat sand at the beach. Harper meeting us at the gate of the orphanage and calling us Mommy and Daddy. Living in Brazil for 2 months. Giving Harper her FIRST warm bath (they did not have warm water at the orphanage). Traveling 19 hours by plane with 3 toddlers!!! Watching Harper's eyes light up with joy when she saw her playroom full of toys. Taking 3 kids to the shoe store where 2 of them threw a temper tantrum in the floor. Potty training 3 kids at one time (2 down, 1 to go). Christmas, watching the kids open their presents. Scrubbing artwork off the walls!! More SHOPPING for children's clothes (I really like this one)! Watching the girls walk around in my high heels. Visiting the farm, the kids playing in the dirt and swinging on the tire swing. NEVER being finished with laundry. Hearing my kids say, "I la la yew." That translates to I Love you! The kids call their cups "Bubba", they are true southern children! Kids crawling into bed with us on Saturday mornings. Listening to the kids sing their favorite songs. Buying them anything they want!! They are a little SPOILED. Harrison helping his Daddy work on the tractor. Dressing the kids alike (I even match their pajamas). Mary Elizabeth asking us "What you doing in Jesus' house?" with attitude! Harper reminds us everyday that she does not like "pickools" (pickles). Kids naming the books in the Pentateuch and the Gospels. Peeling 25 (whole box) of band aids off the carpet, just finished this one!! You can see that I love just about everything that they do. I was once asked if I ever say to myself "What was I thinking?". I responded, NO, everyday is a great day! It is such a miracle that we are a family, that even our worst days are a blessing because God has brought us together. I absolutely LOVE being a Mother and would never trade my life and experiences for all the riches in the World. Becoming Parents was not an easy accomplishment for Jason and I, it took alot of time, paperwork, money, and prayer. I rode the emotional roller coaster for years!! I look back on that time of my life and see it as dark time, but I never want to forget it! Because of the struggles we went through it made us realize what a miracle life itself is and what a privilege it is to be chosen to be parents (however you became one). I always look at that time as confirmation that God is always at work in our lives, He cares for us, and is faithful. If things had gone according to my plan, I would not have 3 wonderful angels in my life right now. For those of you who are going through the pain of infertility or are in the process of adoption, just remember that God's timing is perfect and long before time began He had the perfect child picked for your family. Our God is so GOOD! Our Daddy does not think we have enough toys!! This is our playroom, Mommy tried to clean it everyday but now she just shuts the door! Can you even find us in this messy room? Here we are watching Curious George! This picture was not posed, they always sit together in a row! !